Get behind the wheel of a Porsche Panamera 4 E-Hybrid and you’ll notice a small wheel within the steering wheel. Turn this driving-mode dial to Sport Plus and your seatbelt will automatically tighten, and the engine will growl when you give it gas. It’s as if this hybrid hatchback is daring you to question its sports car credentials. With a total system output of 462 horsepower from its 2.9-litre, twin-turbo V6 combustion engine and electric motor, the new Panamera can do zero to 60mph in 4.4 seconds in Sport Chrono mode. The four-door, all-wheel-drive luxury sedan represents Porsche’s latest approach to combining raw power with fuel savings and lower emissions. As the German carmaker next year marks 70 years since its founding, Porsche Japan recently showed off the company’s heritage at the 2017 Tokyo Motor Show by exhibiting a 356 Speedster — an elegant white cabriolet from 1955 — alongside its headline models: the new Cayenne and the Panamera Sport Turismo. 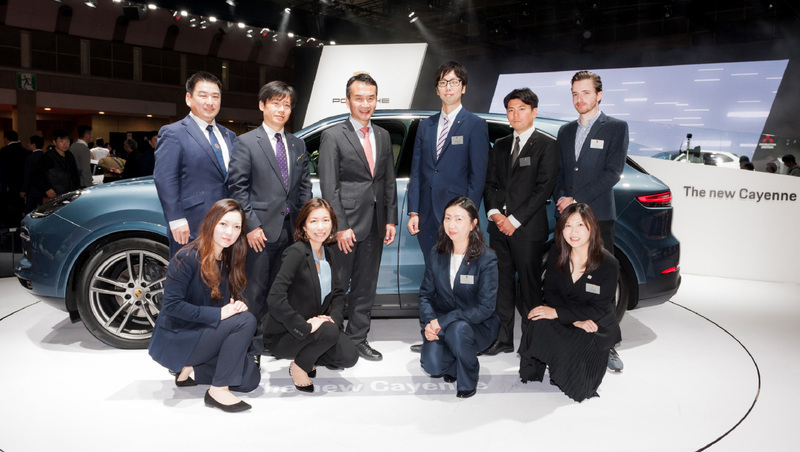 It was Porche Japan’s first experience developing the show booth without the involvement of Porsche AG, proof that the subsidiary has come of age. Porsche is the most profitable among major sports car makers. Japan is an important market for the firm, ranking sixth in terms of sales volume, but it’s also one of the most challenging. Japanese automakers control about 90% of the domestic market; and kei, or compact, cars make up a large chunk of this. Porsche Japan got rolling in 1997 and began importing cars the following year. Notable launches have included the Cayenne in 2002, the Cayman in 2005, and the Panamera in 2009. Compared with people in other countries, Japanese buy more two-door sports cars; about 45% of Porsche’s sales in Japan are high-end models such as the 911, 718 Boxster and 718 Cayman. The 911, originally introduced in 1963, is the most popular, but sales are led by the Macan, a compact SUV launched in 2014. Porsche Japan now has 44 independent dealerships across the country. In 2014, Shimegi left Chrysler Japan to head the firm. Last year, it set up a new headquarters in Tokyo’s Toranomon Hills, where some 60 employees work. At a press conference, Shimegi announced a new strategy for Japan based on three promises: introducing compelling vehicles, working for a greener environment and conveying the pleasure of driving to the people of Japan. The message came directly from Porsche Japan itself, not its Stuttgart-based parent. To do that, the company wants to emphasise its racing roots while embracing a wider demographic of potential customers. Though well known among car buffs, Porsche is still not exactly a household name in Japan, so the firm wants to expand its marketing efforts from media such as car magazines into lifestyle magazines. It already sponsors golf and tennis tournaments and has a sponsorship deal with Takumi Minamino, a forward with the Austrian football team FC Red Bull Salzburg. Another challenge is that younger people aren’t as interested in cars as previous generations; car ownership in Japan is at its lowest level in nearly 20 years. 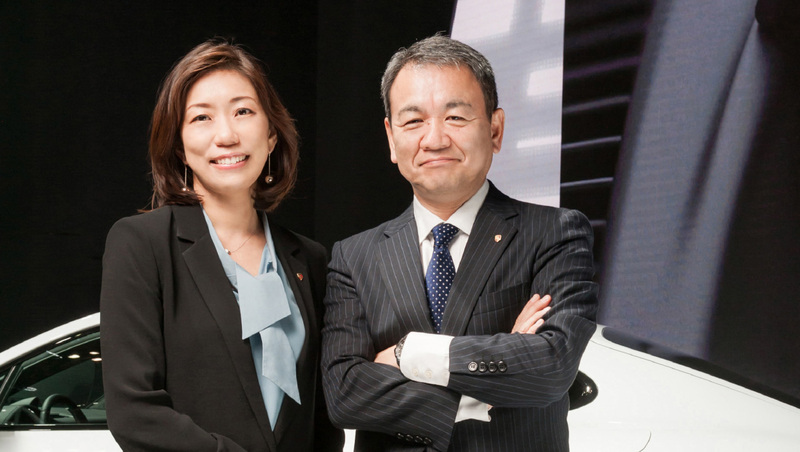 Porsche Japan is focusing more on working with customers instead of simply making luxury cars and waiting for customers to come knocking. Yamazaki says few people know that in 1900, Porsche invented the world’s first functional hybrid electric-combustion vehicle, the Lohner-Porsche. Today, the manufacturer has two plug-in hybrid models, the Cayenne and the Panamera — but it wants to go beyond those. In 2020, Porsche is expected to launch its first purely electric sports car, a concept model dubbed Mission E. Wielding more than 600 horsepower, it will be able to do zero to 60mph in less than 3.5 seconds. It will have a new powertrain similar to that of the Le Mans-winning 919 Hybrid and will be able to travel over 480km per charge. Porsche will double the standard charging voltage to 800 volts, meaning it will only require 15 minutes to get enough juice to travel another 400km. Through imagery and brochures, the concept was presented at the Tokyo Motor Show, creating a past–future symmetry with the 356 Speedster.